Education in Karnataka, Karnataka Higher Secondary Education, Karnataka Education. Karnataka is the rapid economic as well as technological developed state. Bangalore is the capital of Karnataka and hub for Information Technology (IT). 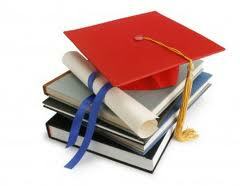 Karnataka is the preferred location for study by many aspirants. In terms of higher education Karnataka has enhanced especially in the field of technology and in other advanced streams. The state government and education department are making efforts to improve the condition of education in Karnataka state. Compare to the past data the literacy rate in Karnataka is tremendous raised. Many Educational program and schemes are launched to make aware of education among people. Institutes of Karnataka attract many students not only from various parts of the nation but also from all over the world. Different types of schools are found in Karnataka such as Primary, secondary, senior secondary and elementary schools which are affiliated to either Karnataka State Board or to Central Board of Secondary Education (CBSE) or to Council for the Indian School Certificate Examinations (CISCE). In order to make habituate students to study, government of Karnataka is providing Mid day meal to the students. Below are the famous schools situated in Karnataka. Bangalore University, Karnataka University, Gulbarga University, Kuvempu University, Mysore University and Mangalore University are some of the well known universities to which colleges in Karnataka are basically affiliated. B. Architecture, Bachelor of Dental Science (BDS), B.H.M.S (Homeopathy), LL.B (Law) and PG Diploma in Business Management and Engineering courses include B.E / B.Tech in Electrical Engineering, Mechanical Engineering, Civil Engineering, Electronics Engineering, Computer Science and Environmental Engineering are the bachelor degree courses which are offered in the Karnataka colleges. Even professional courses are also offered in Dental Science, Hotel Management, Polytechnic and Veterinary Science. Anjuman Engineering College, B. V. Bhoomireddy College of Engineering & Technology, BGS Institute of Technology, B. L. D. E. S. College of Engineering and Basavakalyana College of Engineering etc are the top engineering colleges in Karnataka. Homeopathy colleges are A. M. Shaikh Homoeopathic Medical College, Father Muller Homoeopathic Medical College, Homoeopathic Medical College & Hospital and S.C.S.E.S.Shiv Basav Jyoti Homoeopathic Medical College. In 1916 Mysore University was founded which was the first university in the state. Some of the universities located in Karnataka are Kannada University, Gulbarga University, Kuvempu University, Visvesvaraya Technological University, University of Mysore, Tumkur University, University of Agricultural Sciences, National Institute of Technology (Deemed University), Manipal Academy of Higher Education (Deemed University), Mangalore University, Bangalore University,Vivekananda Yoga Anusandhana Samsthana (Deemed), Rajiv Gandhi University of Health Sciences, Karnataka National Law School of India University, Visveswaraiah Technological University. English and Kannada are the languages which are used as medium of instructions to the students.